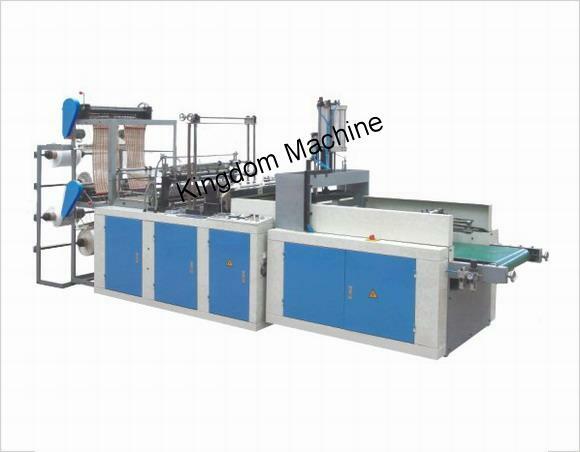 T-shirt Bag making Machine(4 lines) make the materials like rolled film of HDPE/LDPE to vest bags. stepping motor to fix the length. The photocell tracker and auto puncher finished bag by automatic converying.